If you’re strong enough to take the weight off the rack and use it for your workout, you’re strong enough to re-rack it when you’re done. Enough said. When you start an exercise, you walk over to the rack to pick up the weights you need. You expect them to be there, don’t you? You don’t want to walk all over the gym to find the plates or weights you need, they should be on the rack nearest the appropriate bench or machine, right? Well, not if you, or someone else, doesn’t put them back. When my clients or I finish an exercise, the weights are re-racked. No ifs, ands or buts about it. Don’t be “That Person.” Re-rack your weights and make everyone’s workout just a little bit more pleasant. I know, not every gym offers free towels when you check in. And some of you don’t bring your own. Every gym, however, does provide some type of gym wipe. You know, the kind you might use at home to sanitize counters, etc. Wiping off your bench or cardio machine after a particularly sweaty is an unwritten law of the gym. Even if you don’t think you sweat much, or at all, wipe your equipment down when you finish. Use your towel or the gym wipe. You can always grab a fresh towel, if available. It keeps the gym and equipment clean(er) and helps prevent spreading germs. Besides, who wants to walk over to a bench or machine to find it covered in the last person’s sweat? Heck, how about wiping it down BEFORE you start your work out as well? This isn’t really a pet peeve, this is something I’m very passionate about. Working out using improper techniques is a recipe for a workout disaster and has long term consequences. If you don’t know how to adjust a machine or use the proper form for an exercise, ask for help. Better yet, hire a certified professional trainer. Not only will we show you proper form for every exercise, we’ll continually monitor you throughout your workout to make sure you’re maintaining proper form and seeing the results. We help prevent injuries in many ways. Ever see someone sit down on a machine only to have the seat drop to the floor? Yep, it happens. Ever watch someone attempt to lift a weight that’s way too heavy for them, without having someone spot or monitor them, and then drop it on themselves? That happens, too (check youtube). How about the guy who wants to show off for his buddies, or some hot looking woman, and finds himself doubled over in pain from a muscle pull or tear? There you go. Want to make sure you’re using proper form and receiving the benefits of a real workout? Contact me today to make an appointment. You won’t regret it. You know who you are… or maybe you don’t. You do a set of reps and stop to rest… for 10 minutes while checking your email, texting or better yet, making a phone call, while hogging a crucial machine or bench. Some people are bold enough to ask if they can work in with you, or if you’ve finished. Others wait, expectantly, for you to finally move away. And you don’t pay any attention to what’s going on around you. Taking a break in your workout is fine, so long as that break doesn’t take away other people’s ability to get their workout. Step aside, go outside, heck, go sit in the sauna if you need to, but don’t make a workout bench or machine your personal nap space. Yes, I know, you swore to yourself you’d workout 5 times a week, religiously. And you have. Great news! But now you have a cold, or the flu, or any number of illnesses which are highly communicable, especially within the confines of a gym, or office, or airplane… you name it. When you get sick, it’s your body’s way of telling you to take it easy. And also to stay indoors, at home. You may feel the need to keep your workout streak up, even if your nose is running, you’re coughing or your eye is swollen shut. Believe me, this is one streak you must break for the sake of yourself and every other human you may come in contact with during the course of your illness or infection. There is not enough anti-bacterial wipe, gel or spray to prevent the spread of these germs. Your body, family, friends, co-workers and fellow gym members will thank you. Do I need to say anything else? Exercise fads come and go. Anyone taking a “Jazzercise” class this decade? How’s that Zumba class working for you? The reason there are so many workout trends these days is that everyone is looking for the next, newest way to get in shape. I think most people want to put the least amount of effort in as possible, hoping this new trend will be the one thing that works for them. Know what works? Hard work! Lifting weights is no easy workout, unless you’re using the 2 lb. dumbells, and you know who you are. You need to make the effort to use proper form, concentrating on specific muscle groups and repeating exercises, sometimes until muscle failure. And when you do, you see lasting results. 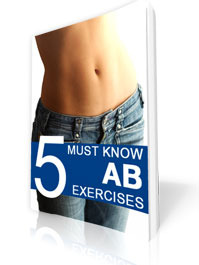 Muscle tone, increased metabolism, better posture and overall fitness. What more do you want from a workout? I’ll add some cardio and stretching and you’ll be in the best shape of your life. Contact me today to make an appointment. You won’t regret it.